Live chat with us if were online or contact us here. For custom work, please fill out the custom work form. We have a 5-10 business day production time before shipment. Products are custom manufacturered in house and have production times before shipment. Govt. ref. only: NAICS code 339950-Sign Manufacturing. SIC code 3993. DUN# 080774407. Certified made in USA. 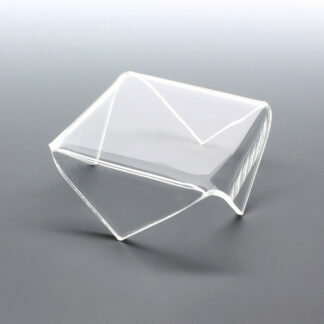 White acrylic display risers at wholesale. This model features a 1/8″ thick wall and is opaque in color. Also available in clear. Used in showcases, countertops or in window displays. Gives prominence and allows for a more organized and appealing presentation of the products you want to showcase. Great for displaying and highlighting jewelry, make-up or other lightweight specialty store items. Products carry a made in USA guarantee. 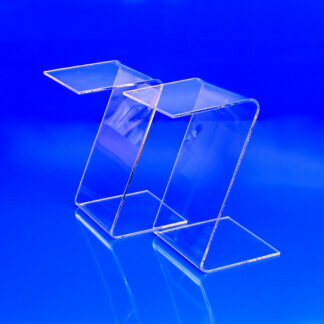 Read about our exclusive features manufactured into our acrylic products.